Everyone is familiar with hard disk partitioning, particularly the ones who own large storage devices and want to divide the storage capacity into equal and smaller proportions. And with the influx of new hardware sizes in the terabyte era, here is one software that is certain to be of great use for people who want to easily and effectively make the right space allocation for their new hard drives today. 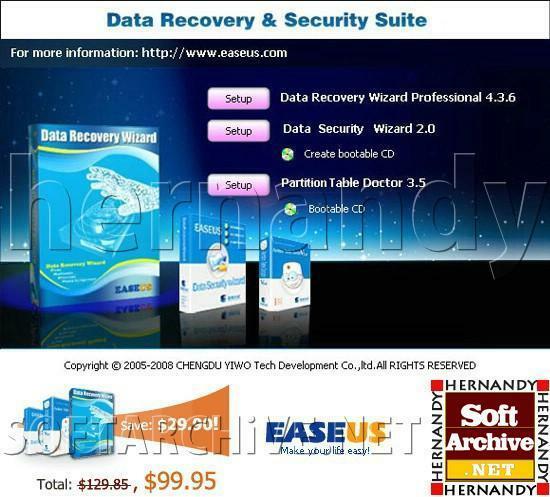 EASEUS Partition Master 3.0.2 Home Edition, like its name, “partition master,” has a powerful range of functions such as resizing partitions, formatting partitions, copying partitions, creating new partitions, deleting partitions, hiding partitions, changing drive letters, setting active partitions and a handful of other functions. It’s the best choice for computer users who need a free partition manager to optimize the performance of a computer. EASEUS Partition Master 3.0.2 Home Edition is totally free with hardware RAID supported. In addition, this free partition manager supports Windows 2000/XP/Vista (32 bit) Operating Systems and also different file types. It can handle 32 hard drives, up to 1.5TB. However, the most outstanding feature is its ability to resize and move partitions without any data loss. Moreover, the “Partition Copy” and “Disk Copy” utility of EASEUS Partition Master 3.0.2 Home Edition can protect your data loss from program error or some other accidental occurrence. Hard disk space can be a problem if you don�t partition them properly into manageable spaces. Especially when you consider defragging them, the time element allows you to focus on one part of the drive rather than the whole which can take hours to finish. And with terabytes, you may even say it can take you days to optimize your hard drive.